The three-sided compact disc, the album-test and the mental masseur. Instructions are included. 1. Simply listen to an electronic music album. 2. To run the CD as a test. According to emotional and psychological perceptional listener’s preferences of three sides you can learn anything about him: personality type, marital status, taste predilections, nature of relationships with colleagues and relatives, and so on. It is also recommended to listen to one of the sides in compliance with conditions like time of day, weather, emotional state, position of the stars, company and available drinks. Author claims that these three groups are obligatory and ultimate. If a listener ignores this warning, the music effect might be dramatically unpredictable (but positive only) and may result career advancement, lottery winning, new acquaintances, lost things being found, etc. In these cases author discards his liability for the consequences. Frequent playbacks lead to a surprisingly good effect as well. It is known that weekly listening to one of the three album sides increases working capability of a brain and advances listener’s IQ. 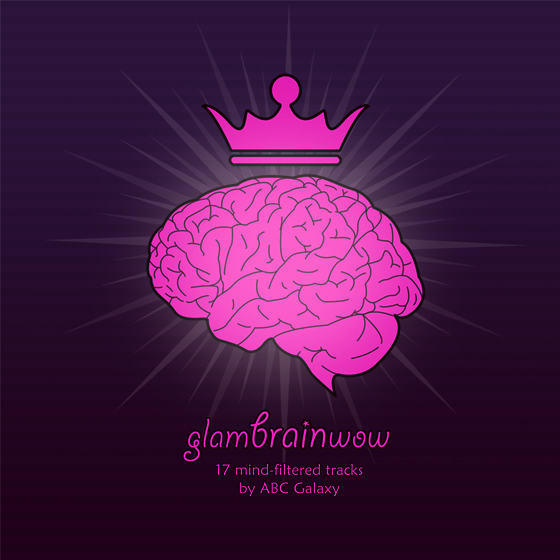 Author recommends to perceive the tracks from Glambrainwow as a mental massage session. Note for EU-based customers: there is VAT added to all purchases. Spotify, Deezer, iTunes and 7Digital.